Michaella calls Brandon to tell him that Wallace Memorial Baptist Church has agreed to let them use the church for their wedding. 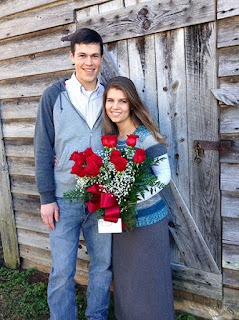 The church has a youth lock-in that weekend, so the Bates and Keilens can only set up for the wedding the day of, and the reception must be over by the early evening. The Bates family has a fabulous oral surgeon who works with their budget. Zach, Michaella, Erin, and Tori have all had their wisdom teeth pulled, and now it's Lawson's turn. According to the family, Lawson has a pain tolerance of zero and is very melodramatic when it comes to dental procedures. On the day of the surgery, Gil brings a camera to capture Lawson's entertaining post-op for Kelly, who stays home because she is prone to fainting during the kids' medical emergencies. The mom of 19 can handle pain herself, but when she sees her children in pain, it makes her feel lightheaded. When the procedure is over, Lawson plays up the severity of his condition, but he manages to take a selfie on the drive home. Brandon comes to Tennessee so he and Michaella can meet with a wedding coordinator friend, shop for wedding bands, and choose brown tuxedos. Tori and Carlin go along as chaperones. Most people would consider 500-800 guests to be a massive wedding, but according to Nathan, "anything under 1,000 is a small wedding." Lawson agrees. Brandon, on the other hand, considers a small wedding to be one with around 50 people. Michaella and Brandon are going to have less attendees than all three previous Bates weddings. Although Michaella's wedding is going to be big, she and Brandon are committed to keeping it cost effective, which makes Gil very happy. "Sometimes when I see [my dad] crying when the girl is walking down the aisle, I wonder if he is crying because he is losing his girl, or if he is crying because he is seeing all the things he bought that he is just discovering," says Nathan. 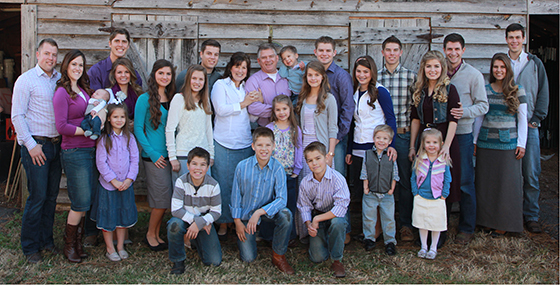 Are you ready to check in with the Bates clan on tonight's all-new episode of Bringing Up Bates? The show starts at 9pm ET/8pm CT on UP (video preview below). For those of you who can't tune in, come back to the blog at 9:30 ET/8:30 CT for a written recap. 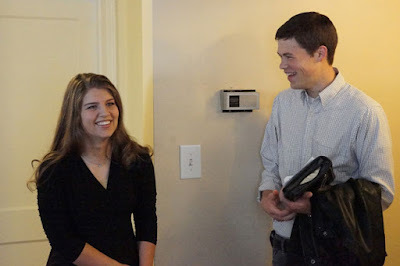 Bringing Up Bates "The Wedding To-Do List"
Michael and Brandon meet with a wedding planner to go over the details of their upcoming nuptials. Meanwhile, Lawson brings out his inner drama queen when it comes time to have his wisdom teeth removed. Judson (almost five years old) and Jeb (three-and-a-half) are the youngest of Gil and Kelly Bates' 19 children, According to the rest of the Bates clan, these boys have a language of their own. "We don't understand anything [Jeb] says, but you can tell him and Judson get into some really deep discussions sometimes," shares Lawson in the video below. Zach Bates was recently given the opportunity to attend a police academy. To prepare his son for the intense physical training that would be part of the program, Gil put him through a workout. Whitney and a handful of the Bates kids joined in. "I kind of dread all the exercising because I know how much more I'm going to have to do in the next few months," Zach revealed in a recent interview with UP. Everyone gathered on the porch in workout attire, and Gil--with Jeb on his shoulder--demonstrated various exercises, including jumping jacks, pushups, toe touches, "foot fire," situps, and lunges. When the crew finished those, Gil sent them on a run. "My dad's a little crazy, " says Tori. "I think the tree work has kept him in shape pretty well. "I think all these kids have kept him in shape," adds Carlin. Gil Bates was very involved in athletics as a kid. He earned his college degree in physical education and planned to be a P.E. teacher. Gil and Kelly Bates work physical education into their kids' everyday lives, assigning them house projects and ensuring that they spent plenty of time playing outdoors, but from time-to-time, Gil puts the children through a vigorous workout. The Bates share all the latest family updates in the following video. With 19 busy kids, the Bates are bound to make another big announcement soon, so stay tuned. The Bates family has a designated school room, which is filled with computers, but many of the children do their schoolwork on the living room couches. "I describe our school like a three-ring circus, because I've got all the way from kindergarten to senior high school," says Kelly. Kelly explains that she and Gil "had the advantage of going to college." She majored in human services with a minor in special education. Gil and Kelly say that going to college broadens a child's opportunities. Gil lost his job when he and Kelly had eight kids and had to learn a trade to keep his family afloat. Kelly loves having the freedom to personalize each child's curriculum, and she encourages her older kids to be involved in that process. "My mom is a genius," says Carlin. The older kids also help tutor the younger ones. Tori (19) has especially enjoyed assisting her mom in the schoolroom, which prompted her to pursue a teaching degree at The Crown College of the Bible. Tori is enjoying her classes and the opportunity to meet new friends. At the end of Tori's first full semester of college, several family members gather around the computer as she checks her graces. Straight A's! "That tells me one thing," says Gil, beaming. "You've got your mama's brains." Nathan heads down to Mississippi for a month to study under an aviation instructor, who is also a pastor, in order to earn his pilot's license. He plans to use this certification to enhance his mission work, which he is pursuing full-time. 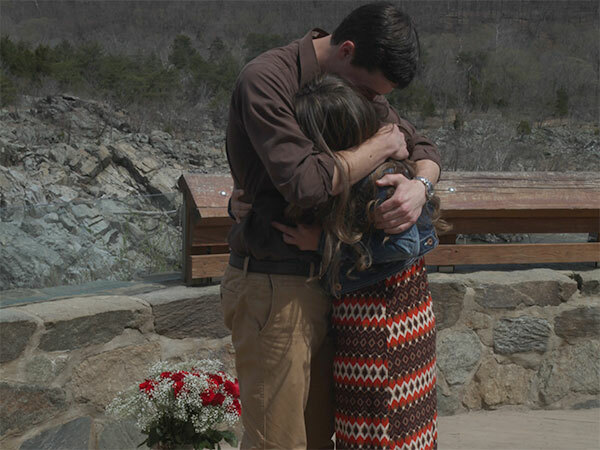 Gil and Kelly are thrilled for Nathan, but they are sad to see him leave. When it comes time for Nathan to fly home with his instructor, the family drives to the runway to meet him. It is a rainy day, and Kelly is concerned for her son's safety. "If this is a bad landing, my mom's never going to ride with me in an airplane," says Nathan. Nathan's landing is a success, and everyone runs over to the plane to greet him. Tonight on Bringing Up Bates, 19-year-old Tori Bates shares how she is pursuing higher education (video preview below). Tune in to UP at 9pm ET/8pm CT. It's Thursday, which means it's time to check in with the Bates family. 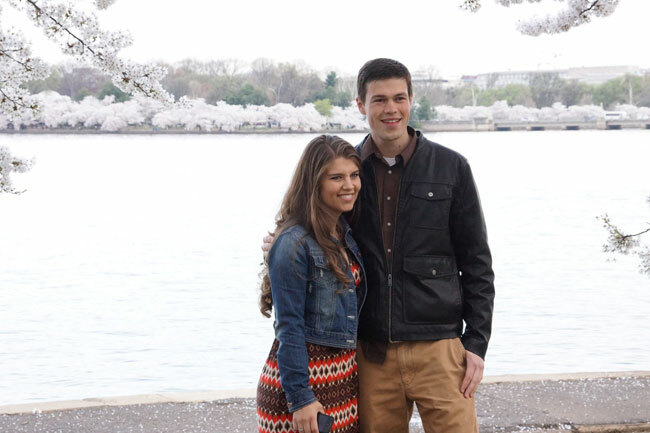 Tune in to UP at 9pm ET/8pm CT for a new episode of Bringing Up Bates, and then come back to the blog for a recap. The family takes us inside the rewards and challenges of homeschooling so many kids, each with a different learning style, and Tori shares how she is pursuing higher education. Kelly talks candidly about her daughter Addallee’s hearing disability, and we get a glimpse into the special relationship between Addallee and her sister Ellie. Then Gil leads the boys through a hard-core PE class, and Nathan flies an airplane. The Bates are in wedding planning mode once again. In the following video, Gil and Kelly Bates sit down with their oldest daughter, Michaella, to discuss her budget and guest list. Less than four weeks to go until Michaella and Brandon tie the knot. After August 15th, there will only be 15 Bates wedding to go. No big deal, right? 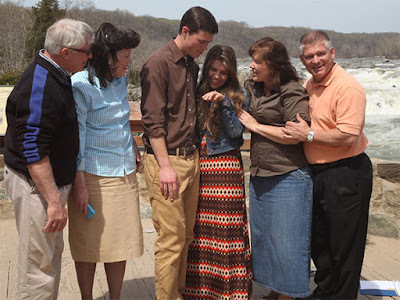 How would you like to meet the Bates family and be a part of their routine for a day? The winner of UP's "Be the 20th Bates for a Day" Sweepstakes will have the chance to do just that! 1. Follow UPtv on Twitter, and send a Tweet (with or without a photo of yourself) using the hashtag #20thBates. 2. Follow UPtv on Instagram, and post a photo of yourself using the hashtag #20thBates. 3. Follow UPtv on Facebook, and post a photo of yourself via the "20th Bates" tab. Hurry! The sweepstakes ends July 30th at 11:59pm EST. Click here to read the official rules. Gil and Kelly sit down with Michaella to talk about the budget for her wedding. 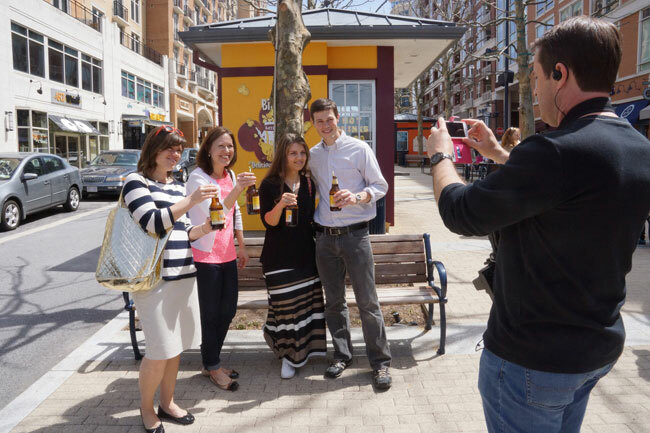 As they did for Erin and Alyssa and plan to do for each of their daughters, the Bates will give Michaella a sum of money for her wedding. If she and Brandon want to spend more, they will have to raise their own funds. 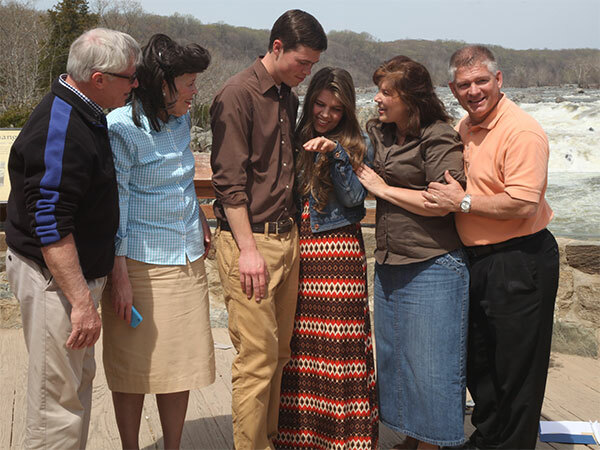 The Bates' extended family members have helped keep wedding costs down. Kelly's sister Kay is a baker, and her sister Kim owns a flower shop. 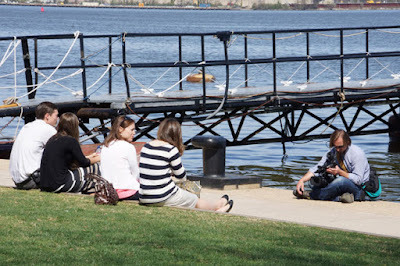 Kelly, Michaella, Erin, and Whitney search for a church that can accommodate 500-800 people and is available on the date Michaella and Brandon have chosen (August 15th). The couple's wedding colors-- pink and brown--also must look good inside the sanctuary. The first church doesn't work with Michaella's colors. She really likes the second church, but Erin is convinced that it won't hold enough people. Kelly takes videos to send to Brandon. 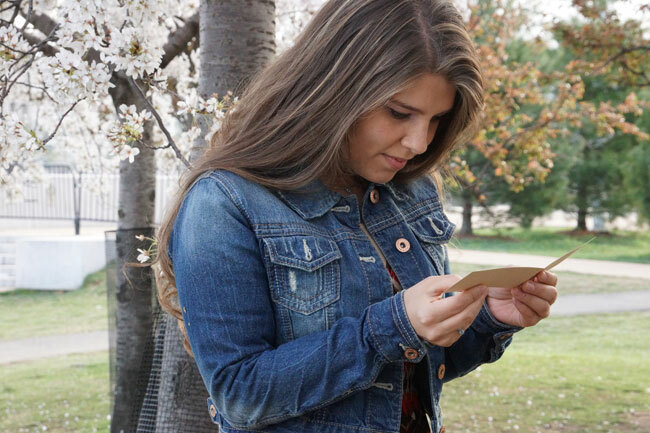 "All of my family is very opinionated, and it can be very helpful, but at the same time, my list of important things doesn't necessarily match their list of important things," says Michaella. Unfortunately, the ladies soon find out that church No. 2 is not available on August 15th. Michaella admits she is nervous because she and Brandon cannot change their date. The third stop is Wallace Memorial, and everyone loves it. The church has a youth lock-in on August 15th which they have to figure out if they can work around. The Bates know that if it is God's will, the date will work out. Meanwhile, Aunt Kay (also known as "Kay Kay") comes over to show the little ones how to decorate a cake. The kids especially enjoy eating the icing. Before long, the cake decorating class turns into a food fight, which Kay admits she instigated. "I covered Kay Kay's glasses with icing, pink icing, so she couldn't see anymore," shares Callie, giggling. "This was a very successful thing," says Kay. "It was very messy, but messy can be fun. You need to teach kids how to have fun in the kitchen and not make it a chore." 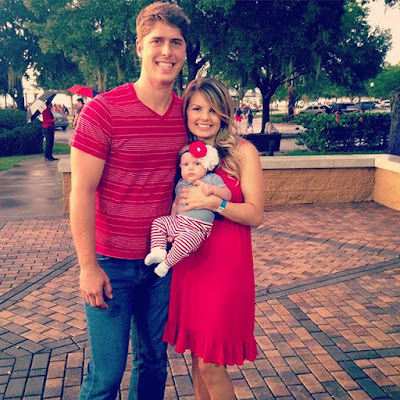 Erin wakes up early one morning with painful contractions, so she and Chad head to the hospital. The doctors give Erin medicine to stop the contractions, and they give the baby a steroid shot, in case he arrives early. After those complications, Erin's doctor decides to schedule weekly appointments and ultrasounds. "It's hard for me not to live in fear," says Erin. "It's scary, and you just want to be sure that everything is okay." Happy Monday! Take a look at these snapshots from Michael Bates and Brandon Keilen's engagement trip to Washington D.C.
Michael arrives in Washington D.C., thinking she is surprising Brandon. Michael and Brandon visit with two of Brandon's sisters, Becky and Angie. 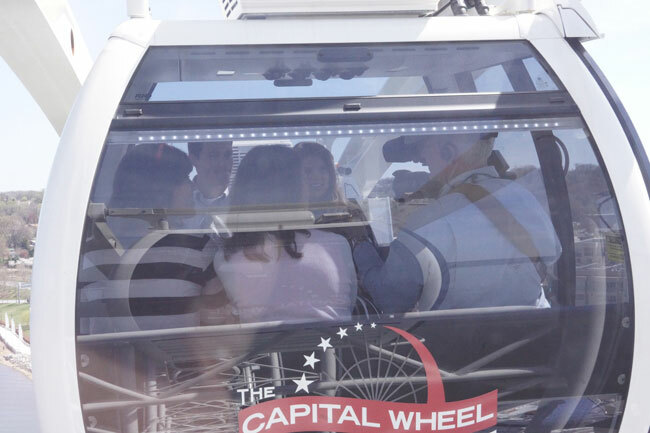 Later, the four sightseers take a Ferris wheel ride and tour D.C.
Michael and Brandon are in a long-distance relationship, so they cherish every moment together. 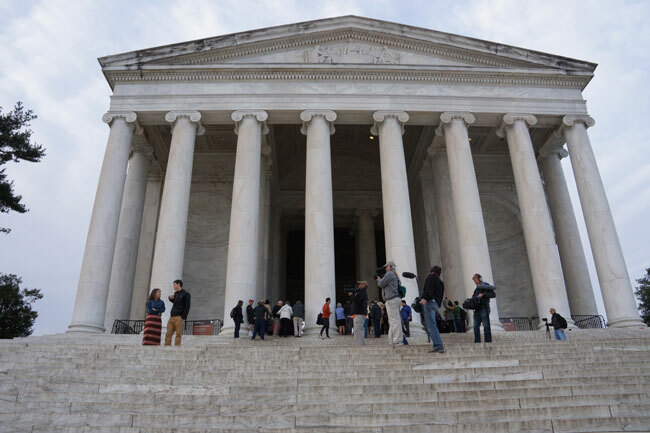 The next morning, Michael and Brandon wake up before sunrise to visit the cherry blossoms at the Jefferson Memorial. Brandon tells Michael that he has work to do, but he hands her the first clue of a scavenger hunt before leaving. Michael follows the clues across the city and ends up at Great Falls Park in Virginia, where Brandon is waiting to propose. Brandon pulls out a ring. "Michael, I want to say three things to you. The first thing is: I love you. The second is: I want to spend the rest of my life with you. And the third is a question: Will you marry me?" Michael is thrilled. "Yes!" she responds, with tears in her eyes. "I've wanted to from the very first day I met you." The newly engaged couple shows the ring to their parents, who are standing nearby. 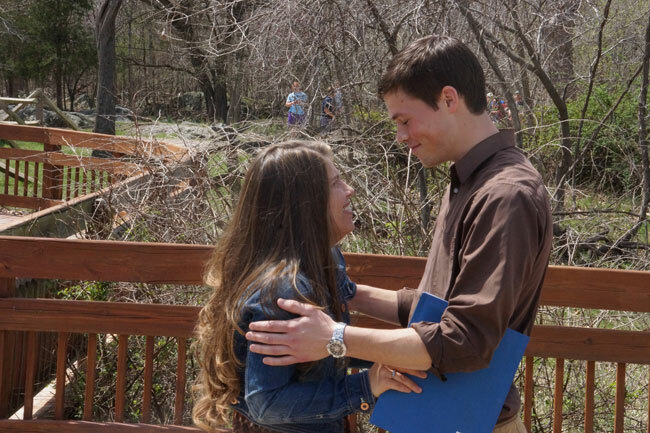 Last night on Bringing Up Bates, Brandon executed an elaborate scavenger hunt proposal that brought Michael to tears. 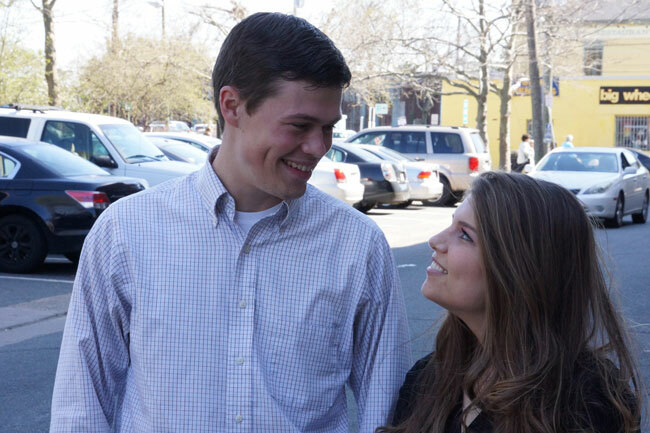 "Everything that went into our engagement was so thought out and...everything was so romantic," says Michael. In the following video, Brandon shares the meaning behind the ring, which he designed. Bringing Up Bates, "Brandon Pops the Question"
Brandon Keilen calls Gil to share his plans for the big proposal. The Bates all love Brandon and say it's about time that he ask Michael to marry him. Brandon wants Michael to have a unique engagement ring, so he brings sketches to Harrington's Fine Jewelry in Chicago to start the design process. The white gold ring features a big stone that represents God as the center of Brandon and Michael's relationship, surrounded by each of their initials (M and B). Brandon texts Michael to tell her that he is planning a trip to Washington D.C. and will be staying with his sister, Angie. Michael asks her parents if they mind if she goes along. Gil suggests that Michael surprise Brandon in D.C, so Michael makes plans to stay with Angie but does not tell her boyfriend. Little does she know that she is part of a much bigger plan. Meanwhile, Gil and Kelly are secretly planning to fly to D.C. separately, but they day before they are scheduled to leave, Alyssa goes into labor. Gil and Kelly drop everything and head down to Florida. Alyssa gives birth at a birthing center and is released the same day. Gil and Kelly meet their granddaughter, Allie Jane, the day after she is born. Kelly is shocked at how good Alyssa looks so soon after giving birth. "You couldn't even tell she had had a baby," says Kelly. She looked great." 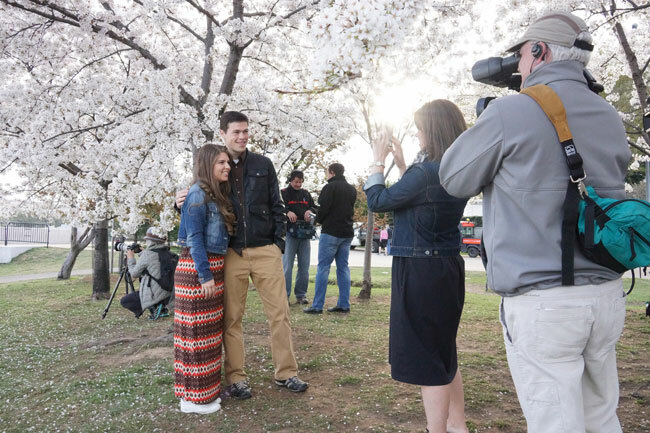 After meeting Allie, Gil and Kelly "zip over" to D.C. for the proposal. Michael arrives on a Sunday, and she and Brandon spend the day sightseeing with Angie and another of one Brandon's sisters, Becky. "Anxiety was kind of mounting as the day was getting closer," says Brandon, as he makes final plans to execute the proposal the following day. Back home in Tennessee, the kids use the iPhone app Find My Friends to figure out that their parents are no longer in Florida. They put two and two together and realize what is happening, and they are thrilled. 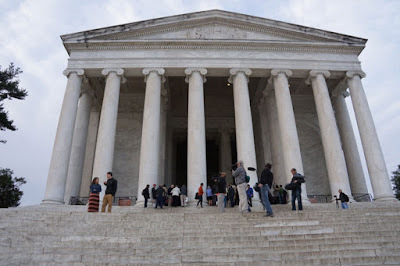 The next morning, Brandon and Michael visit the D.C. cherry blossoms at the Jefferson Memorial as the sun rises. Brandon tells Michael that he has to leave for a few hours to do work and hands her the first clue of a scavenger hunt. "Brandon, he gives 'thoughtful' an entirely new definition," says Michael, touched that her boyfriend planned something for her to do in his absence. The scavenger hunt takes Michael and Becky on a trek across the city. Angie and a third Keilen sister, Christy, are helping behind the scenes. At each location, Michael watches a video made by Brandon and cries at his thoughtfulness. 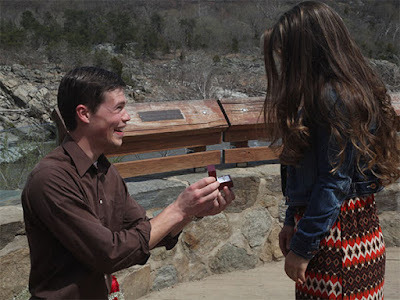 The last clue takes Michael to Great Falls Park, Virginia, where Brandon is waiting with flowers and the ring. "Michael, I want to say three things to you," Brandon tells his girlfriend. "The first thing is: I love you. The second is: I want to spend the rest of my life with you. And the third is a question: Will you marry me?" "Yes!" responds Michael. "I've wanted to from the very first day I met you." The couple shares a few hugs before their parents come out of hiding. Brandon and Michael are planning their wedding for August 15th. 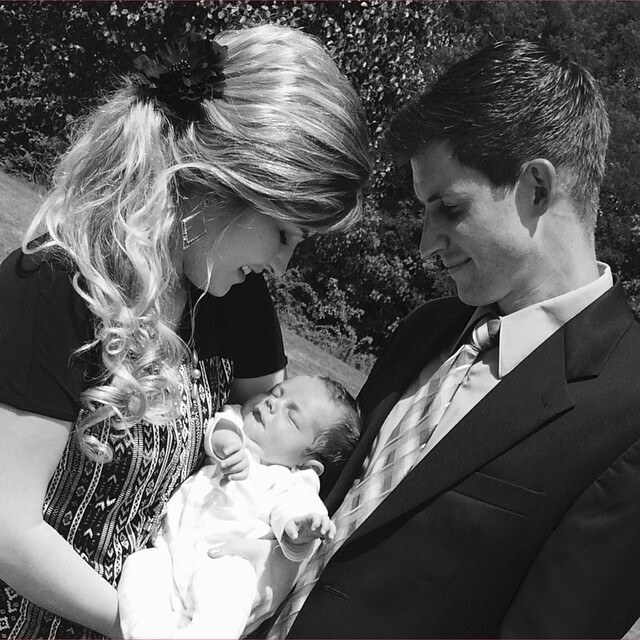 Tonight on Bringing Up Bates, "Blessings...And New Beginnings?" 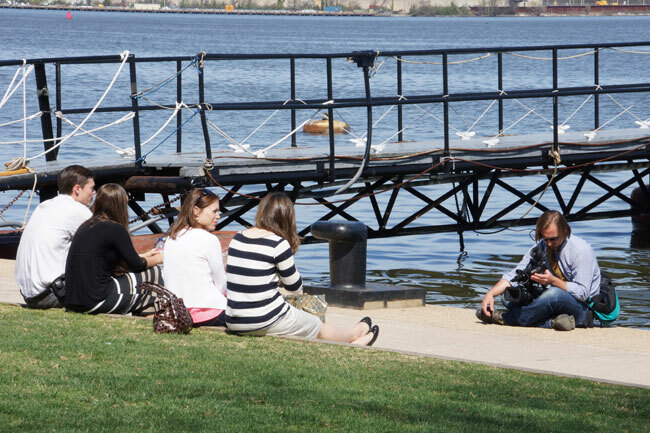 Ashley and Anastasia, two friends whom Lawson and Nathan met at a conference, come for a visit. The boys recently visited Ashley and Anastasia in their "hometown" of New York City, and now they want to show the girls what life is like in the hills of Tennessee. “…We decided to give them a taste of what the real world is like,” says Nathan. The first item on the agenda? Horseback riding. “The most fun part was watching them try to make the horses go in a straight line,” says Lawson. “They did better than I thought,” says Nathan. Later, Gil and Kelly take Lawson, Nathan, Anastasia, Ashley, and a few of the other Bates to McCloud Mountain Restaurant, which has a beautiful view. The visit goes very well. “Who knows? They just might want to come back again someday,” says Lawson, smiling. Kelsey, Erin’s close friend from college, throws Erin a baby shower. The Bates usually invite both guys and gals to their baby showers, but Erin has decided she wants to have one with just ladies. As friends and family members gather for the shower, Kelly is stressed out because her other daughters are 30 minutes late, due to a miscommunication over whether Carlin or Tori is supposed to drive. At the end of the shower, Kelsey reveals a special surprise she has planned for Erin. She instructs everyone to grab a balloon and release it outside in memory of the babies Erin miscarried before she became pregnant with Carson. It's Bates night! Tune in to UP tonight at 9pm ET/8pm CT for a brand new, 30-minute episode of Bringing Up Bates (video preview below). 9pm ET/8pm CT: Blessings...And New Beginnings? 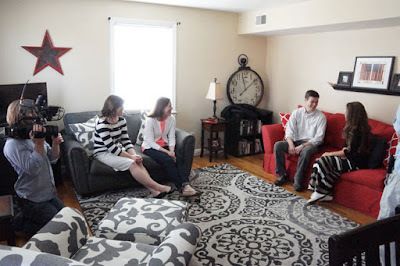 With Erin and Chad's due date looming, the whole family gathers for their baby shower. Erin's friend Kelsey comes for the occasion and helps put together a sentimental surprise that leaves Erin speechless. 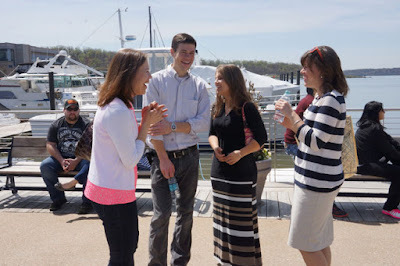 Nathan and Lawson's friends from New York, Ashley and Anastasia, also visit, and the kids have fun showing these city folk a real country adventure! Your Bates family bloggers are back! Thanks for sticking with us as we took a break for Ellie's wedding, and thank you for your well wishes and prayers. 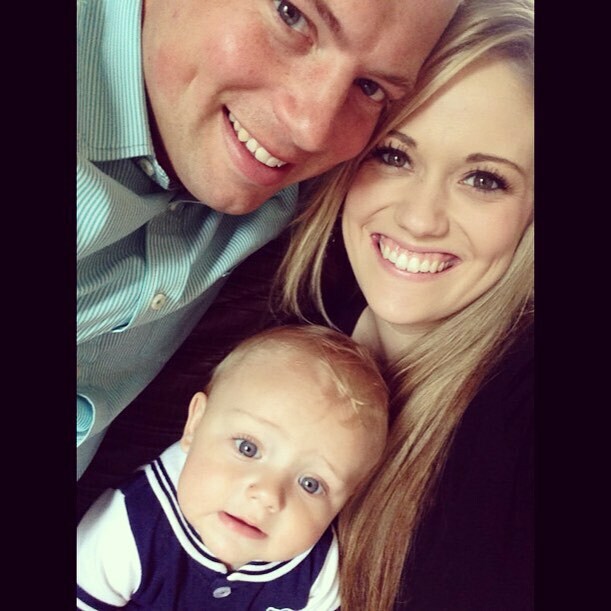 Hear from Michael Bates and her fiance, Brandon Keilen, in the following Great deBATES clip. The two lovebirds are looking forward to tying the knot on August 15th.